FabuLight™, DyLight 405, Alexa Fluor® 680 and Alexa Fluor® 790 conjugates, Bovine Anti-Goat IgG (H+L), Cy2, Cy3, and Cy5 Conjugates, Secondary Antibodies for Flow Cytometry, Anti-IgG, Light Chain Specific for Western Blotting after Immunoprecipitation, Anti-Mouse IgG Subclass Specific Antibodies, PerCP Conjugates for Flow Cytometry, Streptavidin a tetrameric bacterial protein isolated from Streptomyces avidinii. 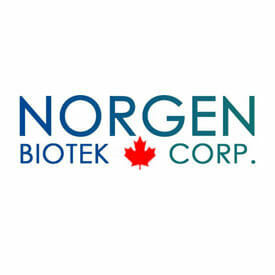 Norgen has successfully exploited part of its IP to develop over 70 sample preparation kits for RNA, DNA, and protein purification for research purposes. Uscn Life Science Inc. Wuhan is located at Export Processing Zone. It has already obtained the certification for high-tech enterprise. It is the R&D and production base of the CLOUD-CLONE CORP. USA, and mainly focused on R&D, manufacture and marketing of Antibodies, Proteins and Immunoassay Kits. Surface technologies helping you turn your ideas into breakthrough results & your candidate library into drug leads. Applications for Microarray, Single Molecule Spectroscopy, Nanoparticles, Microfluidics, Biosensors. At SalivaBio, they recognize the critical role saliva collection plays in providing consistent, accurate results. SalivaBio is dedicated to the creation of a global standard for collection devices and techniques, as well as developing new, cutting edge saliva collection methods to increase ease of use and participant compliance. Saliva is Salimetrics specialty. No modified blood or urine assays here. Your research is too important to settle for anything less.